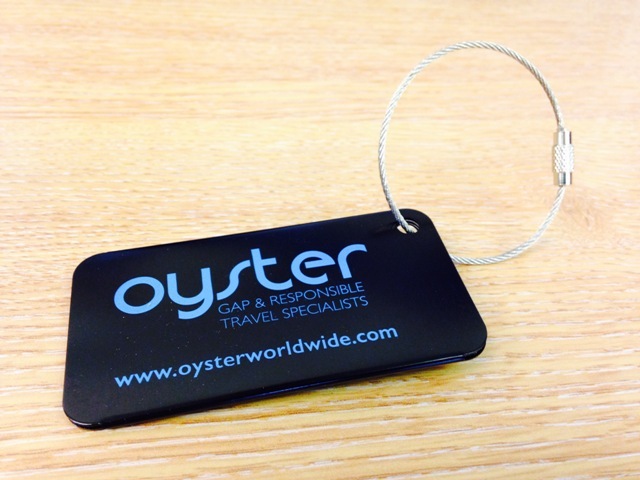 An exciting and stylish addition to the popular Oyster t-shirt, we are happy to announce the arrival of our Oyster luggage tags. If you are heading off on an exciting programme, you can rest assured that your luggage is labelled, easily recognisable and heading to the same destination as you. Each participant will receive a luggage tag, with their t-shirt, before they head of to the departure gates. They are durable and sleek so you can say goodbye to that old, bulky one that you have had for years. All members of our team have one and Harriet’s has been all the way to Australia. Where will yours end up?